I’ve been studying the past couple of months some ways to improve the field coil performance and in a way to make my tools better, to sharpen them. My goal is to get the most flux density in gap for a given current in field coil. I tried many magnetic circuits meant to take advantage of the shape of a field coil because being a solenoid it will work better having a length per diameter ratio above unity. Works better means a more uniform field in the core. 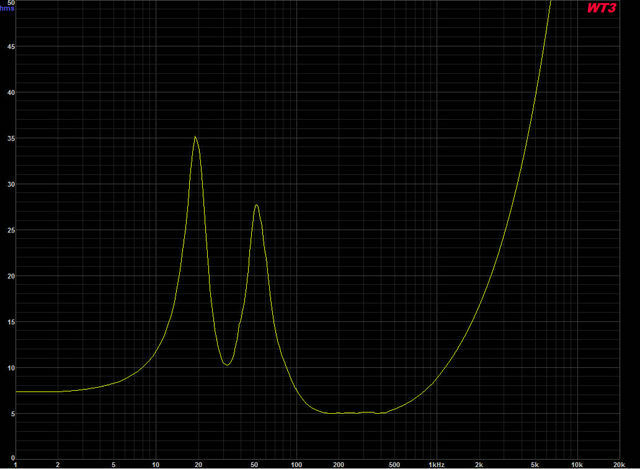 I managed to get a simulated result of 1.5T in a 1mm wide and 12mm high gap using standard 1010 steel and a field coil consuming 7.231 Watts! The field coil is made with 1 mm EC wire so it will be able to handle a lot more current. 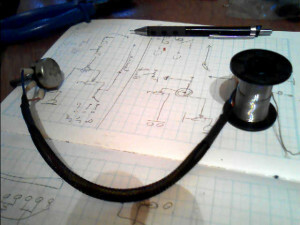 You will get more flux density this way but the curve will get more and more bell-shaped. As you can see for 1 Amp you get a very nice increase in flux density. Its not as linear but the difference is small. There is a balance, hard to achieve, between linearity and maximizing flux density. 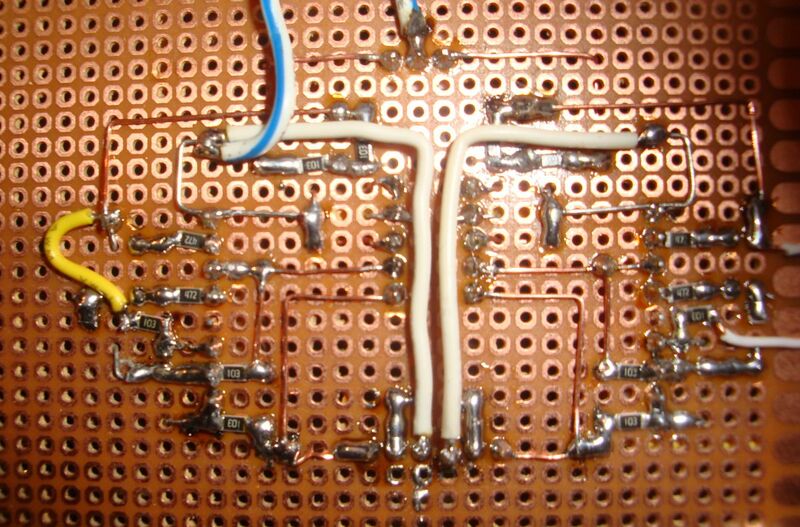 And this has to do with the magnetic circuit and saturating the pole plates. I usually want to saturate them right at the gap. This way it’s less prone to modulation. 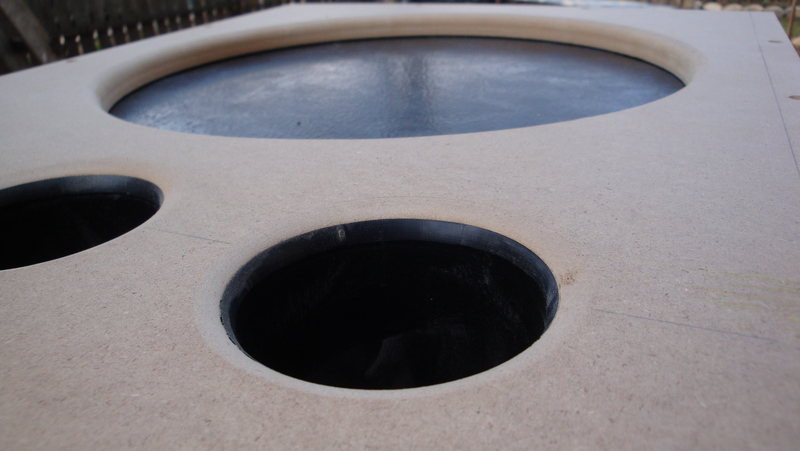 In placing the saturation area, the central pole piece and the top plate geometries have a large role. Always remember that the thin parts of steel saturate faster and zones with transitions from one dimension to another or sharp angles are also prone to saturation. 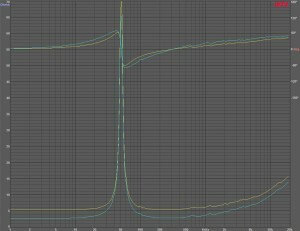 Below you can see a motor with a linear flux density curve over a 20 mm travel. 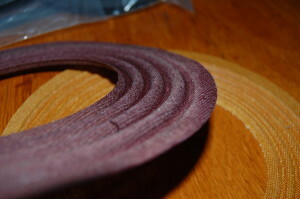 The central pole piece is of the same diameter as before. You can see that making the top plate thicker killed the saturation around the gap. To bring it back, we must use a larger diameter for a voice coil. But more on that in a future article. 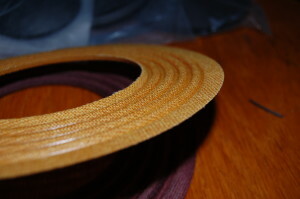 There were many discussions about what is the most important component in the music reproduction audio chain. I won’t get into that, we know everything is important but the better question i think is when starting an audio system what components should come first? Where should the investment start? 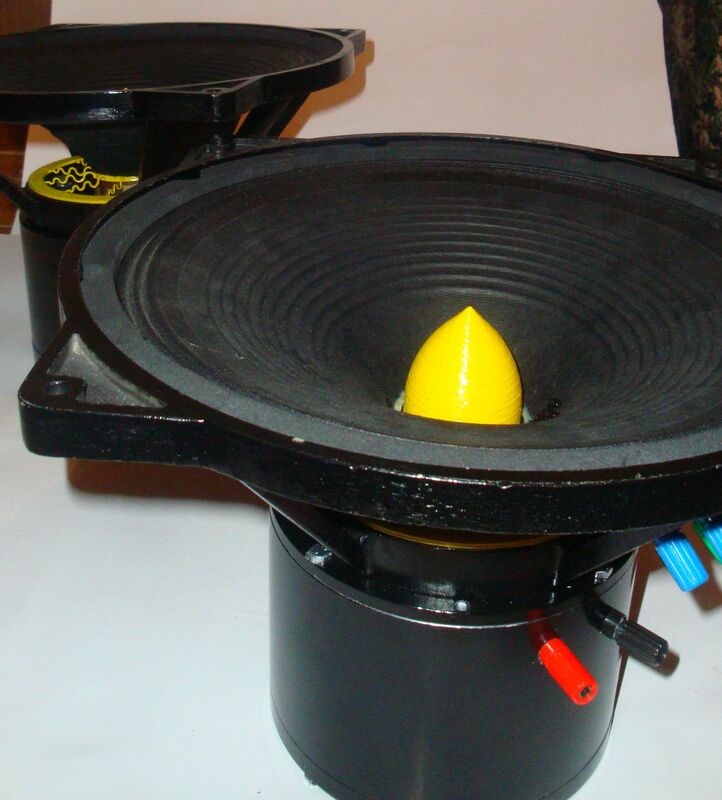 In my opinion, loudspeakers bring the greatest change in a system and therefore it seems the best choice of a first investment. The sonic differences are clear and the quality of reproduction can have a drastic increase when upgrading to real speakers. So you want to build a better audio system and you set aside a specific budget for it. You are thinking perhaps to split it to get a good source (record player, cd player, reel to reel tape deck), a good amplifier and a good pair of loudspeakers. This would be a great way to do it if you have a really big budget. Most often than not tho that is not the case. 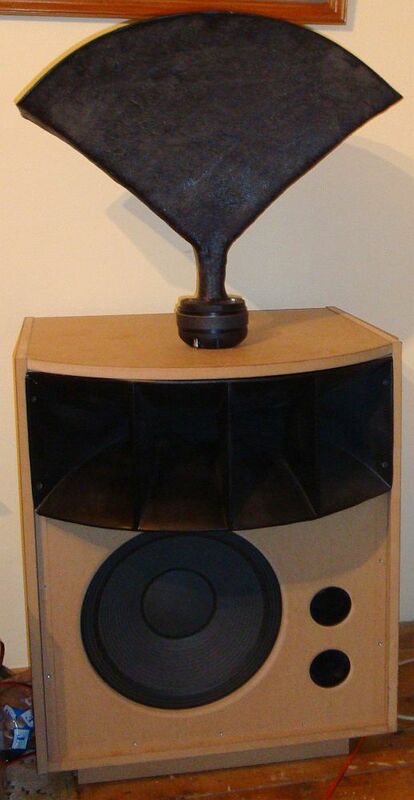 With a limited amount of money at hand i would say to first invest it in a pair of loudspeakers. 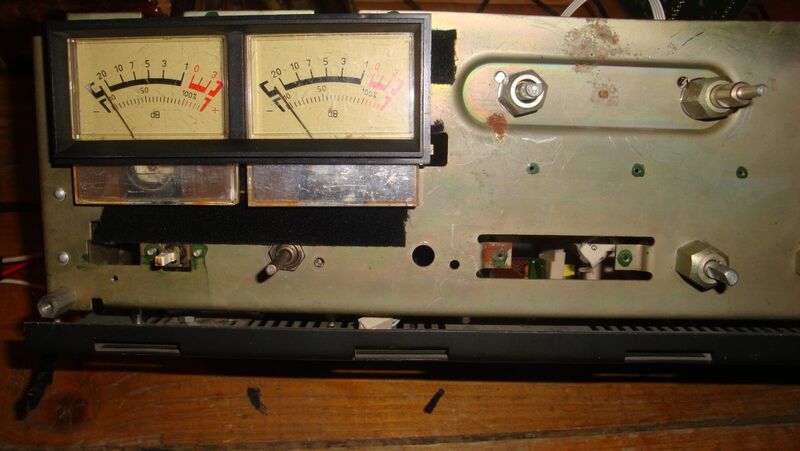 Especially if you still have an old amplifier and source from previous systems. 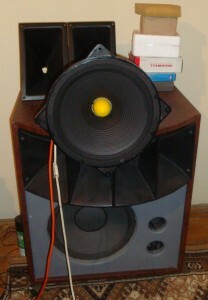 You can use the new speakers in the old system for a while and still benefit greatly from the increased quality of reproduce sound. 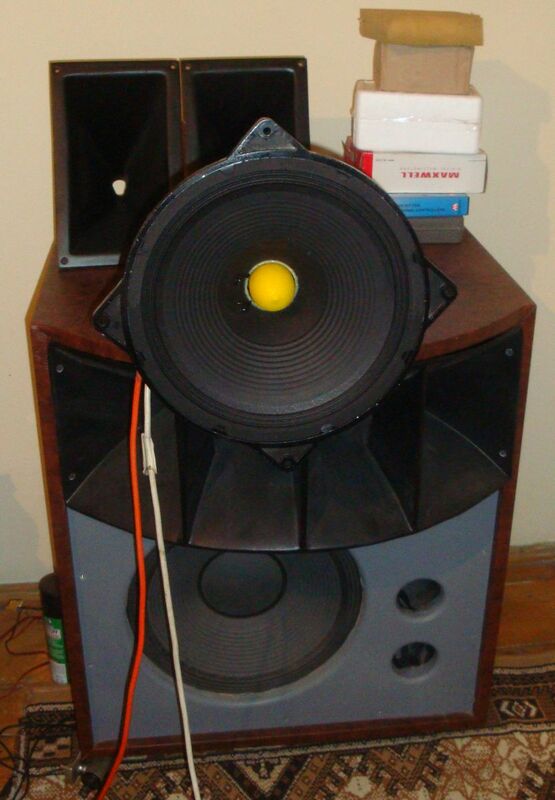 Then put aside money again and get the best amplifier to drive the speakers and then save more money and get a good source. Then reason behind this way is that sources are more abundant. With the availability of high resolution formats you can live with PC-based sound for a while until you save for your favorite source. You can still enjoy better reproduction than your old system as opposed to getting a great record player and using less than good speakers. With great speakers you immediately feel the increase in performance and this will give you a good feeling that you made the right investment. Money don’t come easy so you will look for an excuse in spending the money. Hearing the difference in sound will make up for that I’m sure. 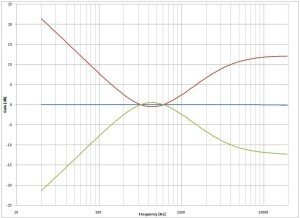 Starting from the other end of the audio chain might not render such a big difference and you might loose confidence in spending money to upgrade your system. 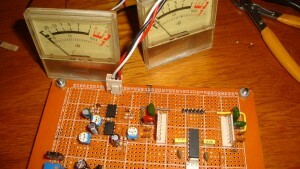 When choosing components don’t hurry. Excitement can get you to take rush decisions, believe me, i know. Study, do your homework, go to audio expos listen and try out as many products as you can. Take notes, keep a record of what you hear, what you like, what you don’t, what surprised you, features and specs of anything you hear. Don’t rely on your memory. You will soon find out you like a certain type of sound and you will have a list of products that meet your requirements. 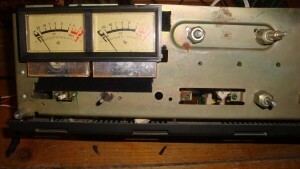 In this part I will continue with the VU-meter driver for needle instruments. The circuit is very simple just a half-wave rectifier with adjustable gain and a comparator for clip indicator. POT3 should be chosen to match your meter’s sensitivity but i think 100k will do for most. 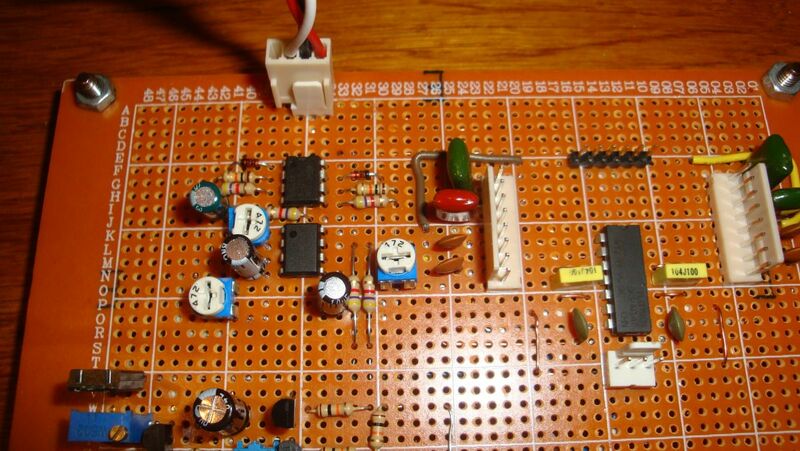 Components are not critical so it should be fairly easy to build. 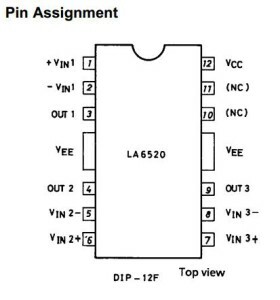 Whats important to note is that the voltage at the inverting input of the LM339 comparator will set the clipping threshold, so you can use a voltage divider there to set it to what you want. 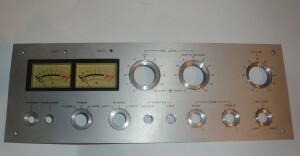 You will need to adjust POT3 to your preferred 0dB point, I usually use the dBV scale. Slowly but steady the whole unit is coming along. In next part i will do the source selection and front end. 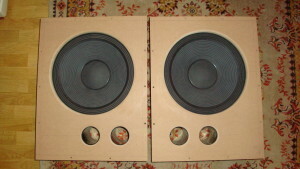 Recently i have finished a pair of field coil mid-bass drivers. 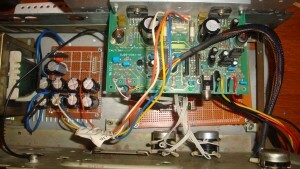 The driver has a Fs of 50Hz and a frequency response up to 7kHz. It is a dual voice coil design features a 160mm diameter motor with a max of 1.4T in the gap, Ryu spider, non-treated paper cone, triple roll cloth surround and bullet shaped phase plug. 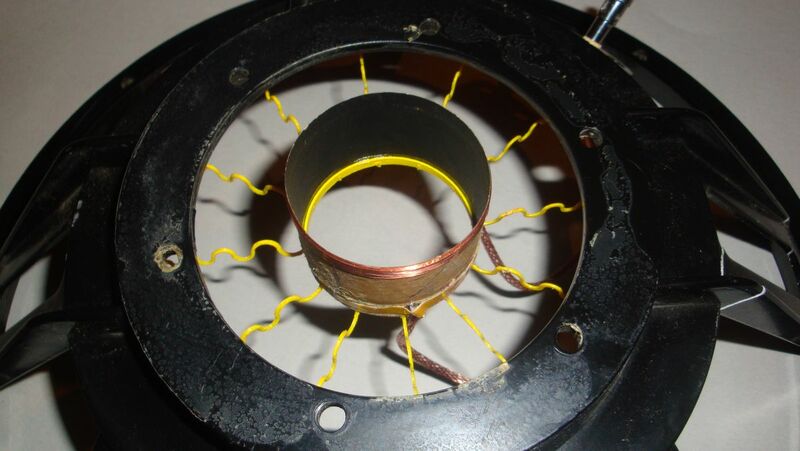 The voice coil construction was presented in an earlier article here. 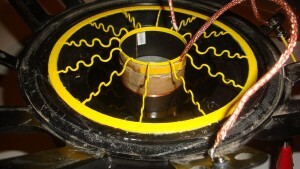 Inside the gap set at around 1T flux density, the voice coil inductance was measured at 0.52mH @1kHz and 0.15mH@10kHz. 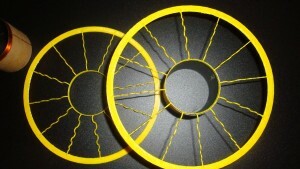 The high compliance of the Ryu spider was measured at around 3.4mm/N for this mid-bass and makes the compliance of the cloth surround the determinant factor in the system’s total compliance value. 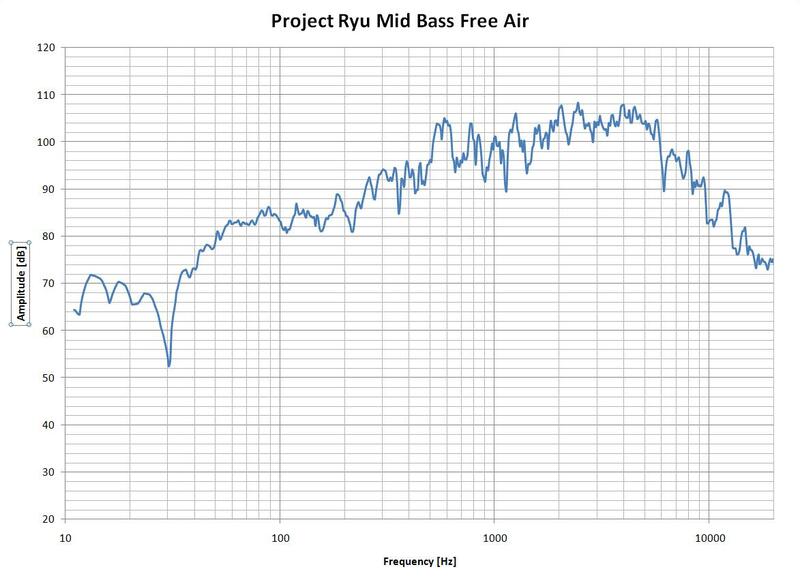 Below you can see the impedance measurement and frequency response of these mid-bass drivers. 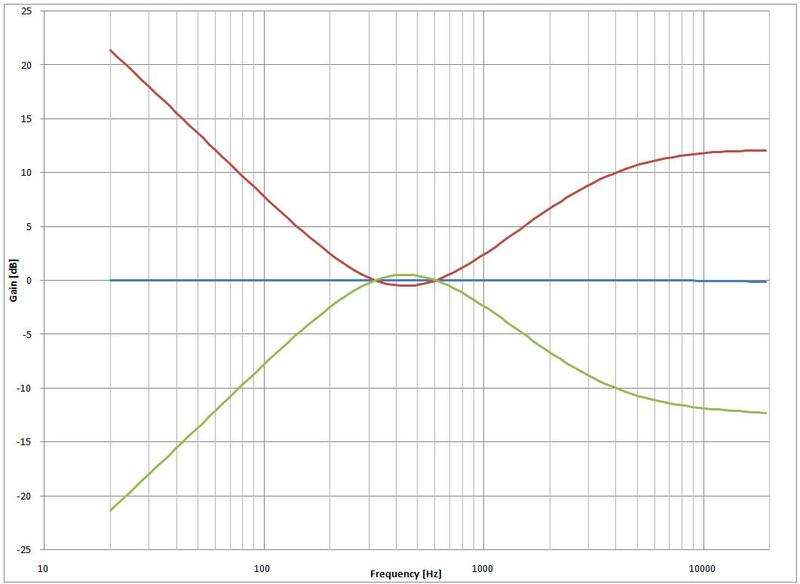 The frequency response is measured with the voice coils connected in parallel. 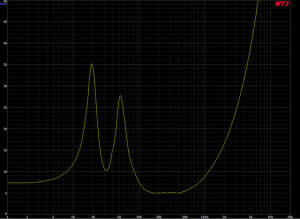 you can see a nice constant 6db/octave rise in response. You can use this characteristic when designing the loudspeaker if you consider baffle step or horn loading. I have tested the unit and played Isao Tomita’s Snowflakes are Dancing and The Police Synchronicity. 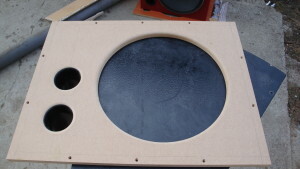 The sound is thin with the voice coils connected in parallel and no baffle but with the voice coils in series even without a baffle you can reach a good tonal balance. 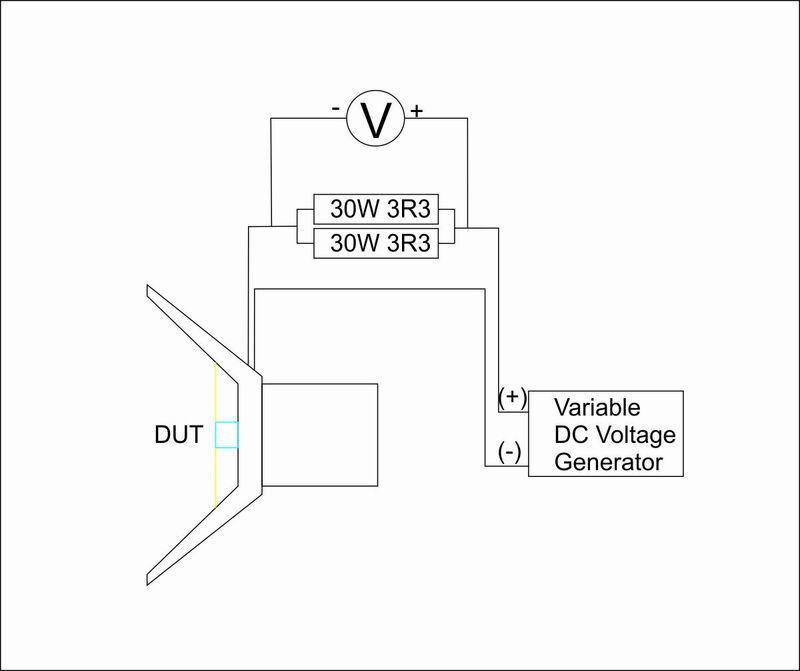 This indicates the unit can be used successfully in an Open Baffle system or in a horn loaded enclosure with the voice coils in parallel. 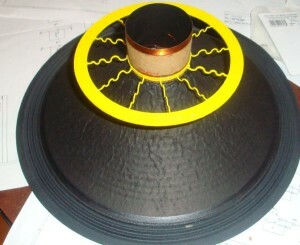 Today i could do a first test of the new spider for my 12 inch field-coil loudspeaker. I attached the spider to a voice coil and to a frame. 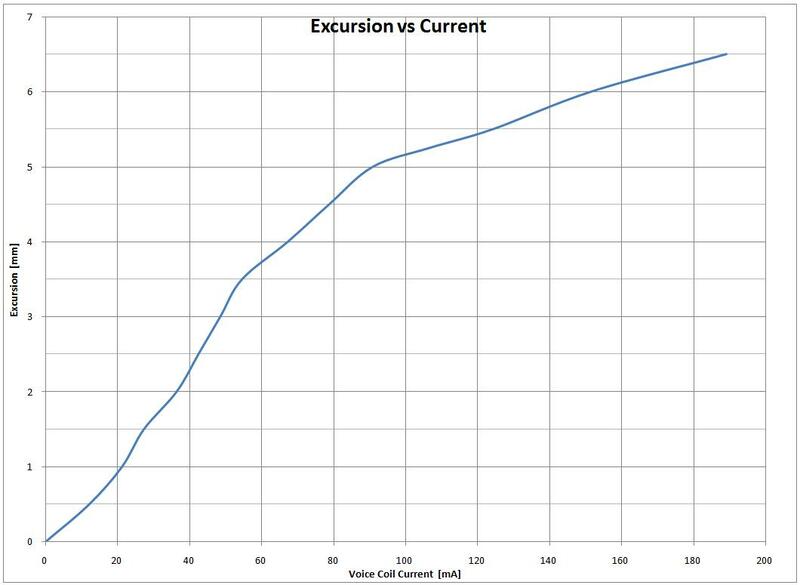 Without any added mass i applied variable DC voltage on the voice coil to determine how much it will move at a specific voltage. 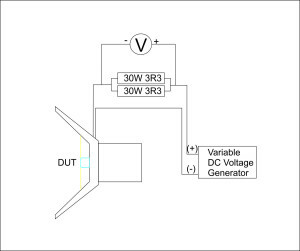 First I had to create a variable DC Voltage generator.This can be done with op amp but since the voice coil has low resistance (Rdc = 5.1 ohms) the op amp will need to deliver high current. 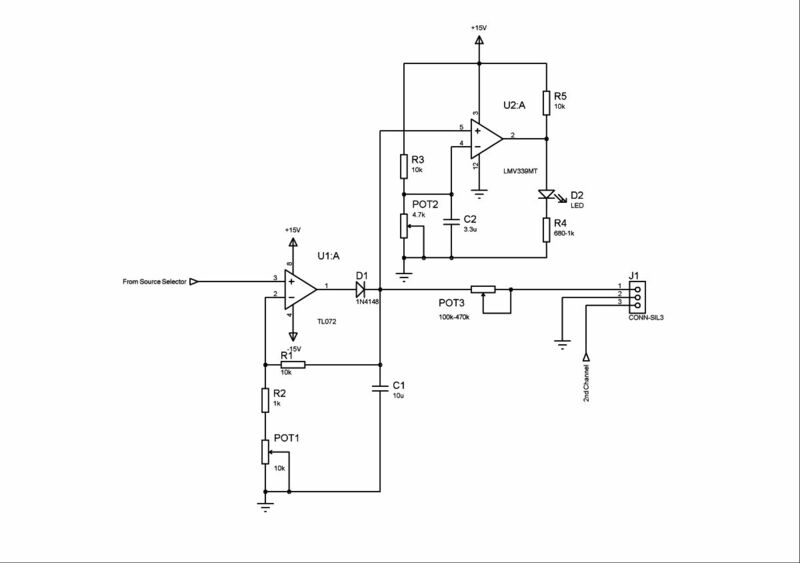 This is why i chose LA6520 which has a 500mA output current. 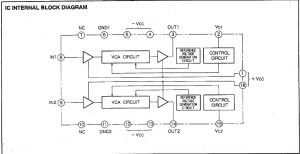 In the picture below you can see the schematic. 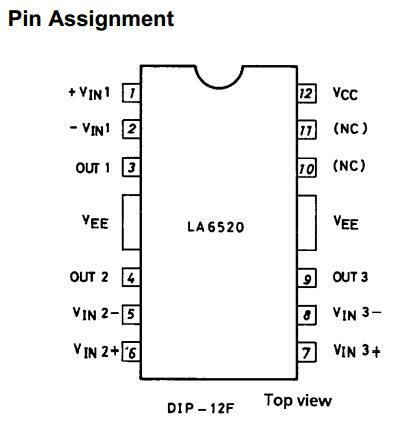 Please note that LA6520 has different pinout like in the next picture so keep it in mind when soldering. 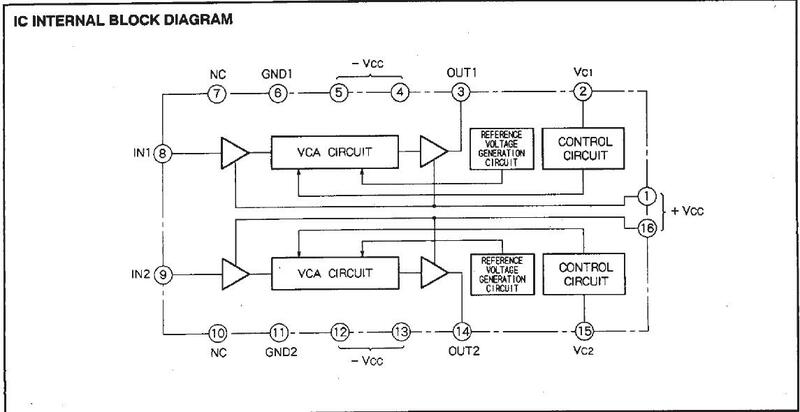 Also this circuit needs symmetric +/-15V power supply. 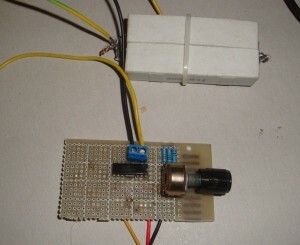 The test setup includes a series resistor. 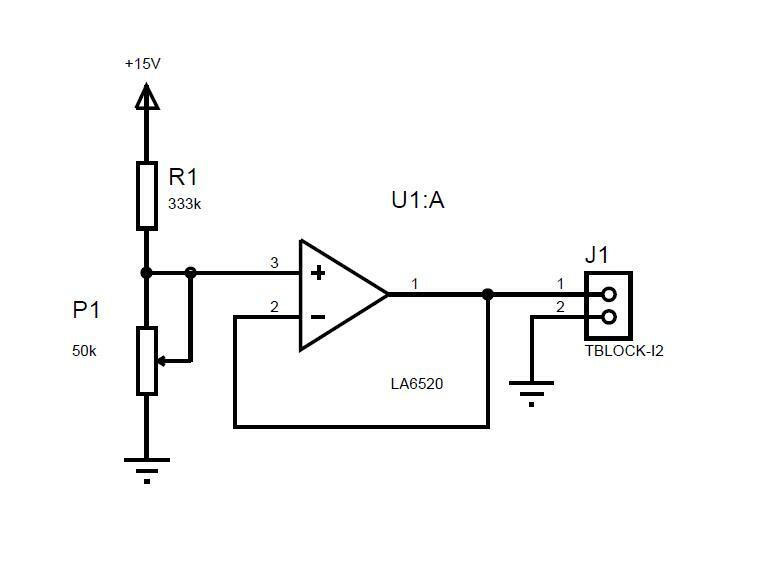 We will measure the voltage drop on this resistor in order to calculate the current through the voice coil. 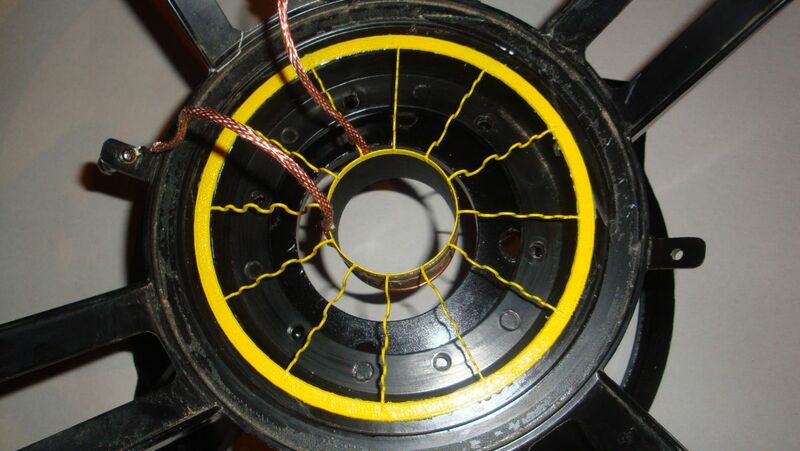 It is advantageous to display excursion vs current as the force that pushes against the spider’s restoring force is defined by F=BL*i where BL is the motor strength factor and i is current through voice coil. 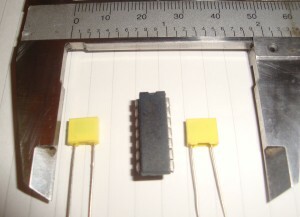 The series resistor was formed from two 30W 3R3 resistors connected in parallel. This way temperature effects are negligible. Below you can see the setup. Spider’s behavior proved to be quite linear. 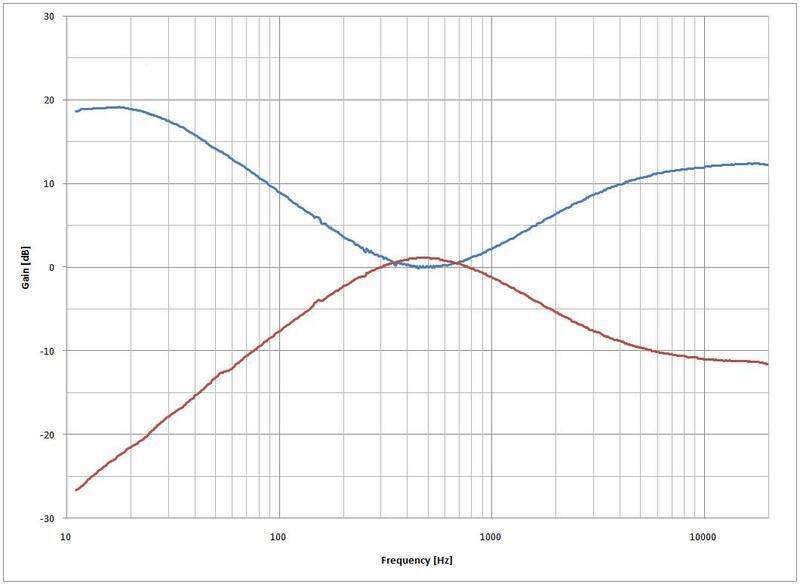 Shown below is the results measured for the voice coil’s up direction. Above 3.5mm the voice coil is getting out of the magnetic gap so force becomes smaller. 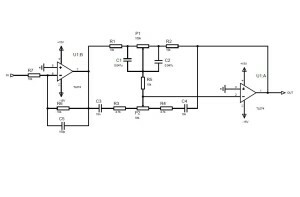 As can be seen though Project Ryu’s magnetic circuit is strong enough to use the fringe field to its advantage increasing this limit to about 5 mm. 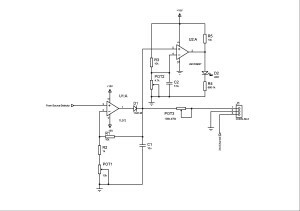 In a previous article I wrote about a monitoring amplifier i want to build. This weekend i could continue with this and i built the tone control circuitry. 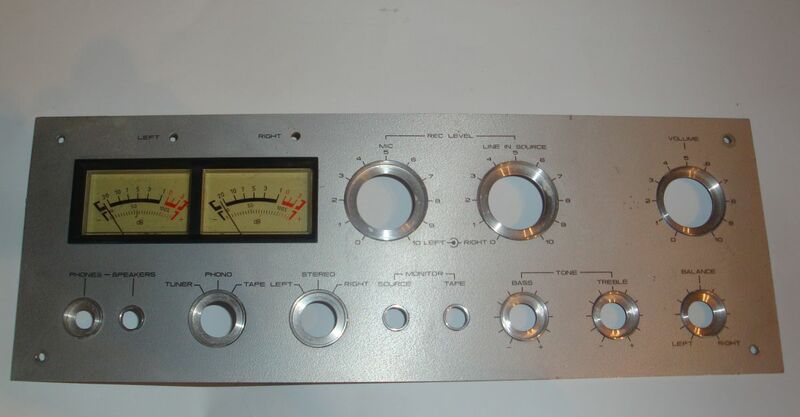 It is a Baxandall type but the values are a little atypical as i made this tone control tailored for my needs. 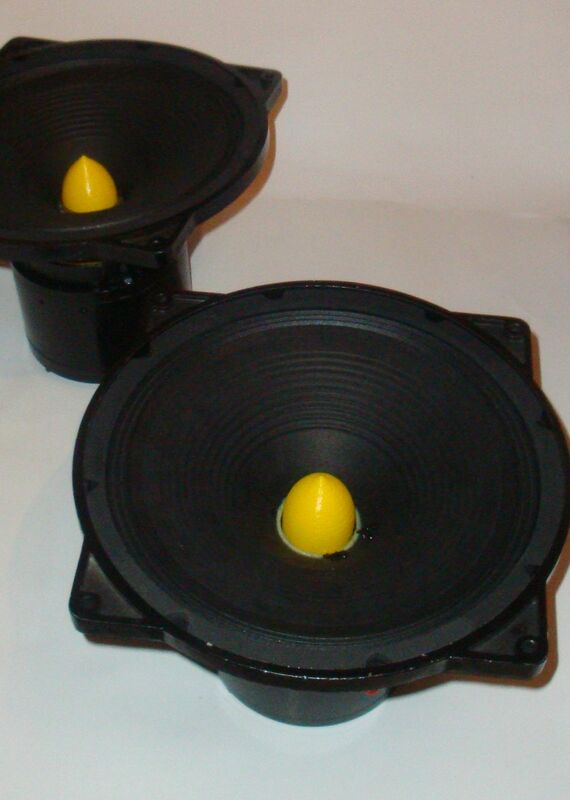 I wanted controls that can help in a large format 2 way loudspeakers employing a crossover frequency around 1kHz. I need a shelving filter that can gradually bring up or down that range. 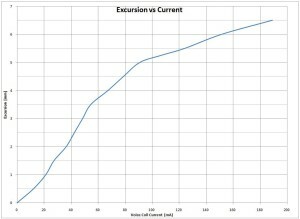 Below is the schematic and the graph showing the maximum boost-cut levels. 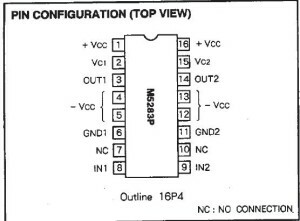 The schematic represents 1 channel and it is not showing two 100n/63V polyester film capacitors used to decouple TL074 power rails. 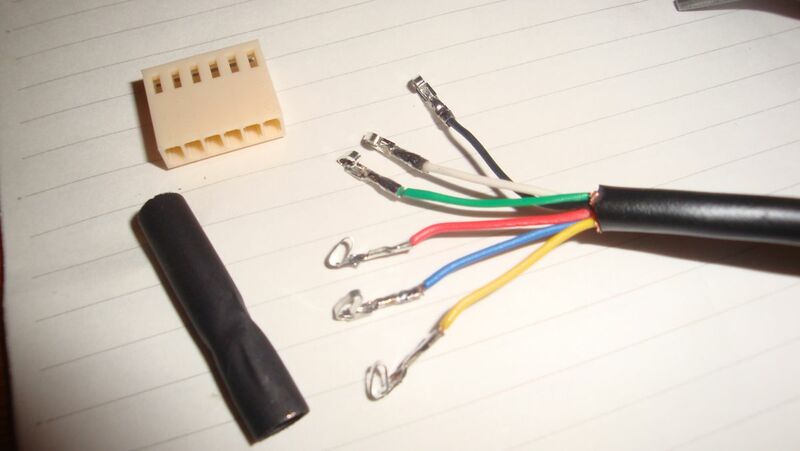 I didnt include the 3 pin Molex connector for input you will see in the pictures as i use it temporary to connect 2 RCA female plugs to it. Below you can see the picture of the circuit. 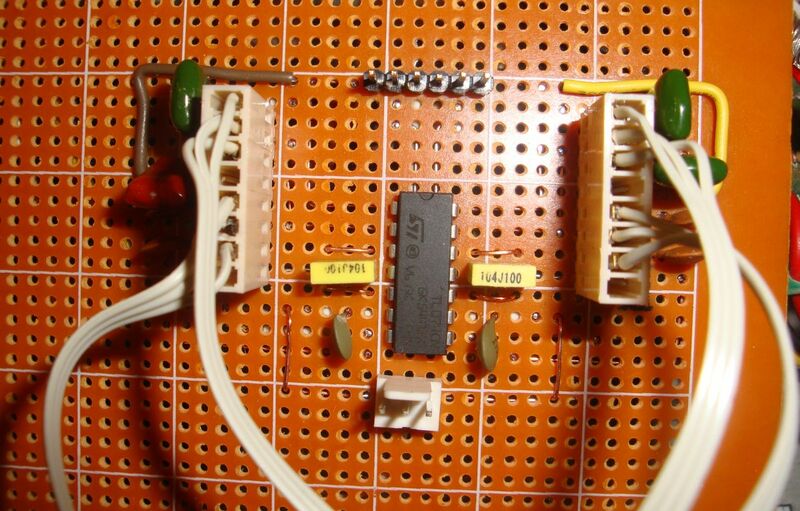 It is a bit annoying soldering the SMD components on the prototype board but not a big problem. 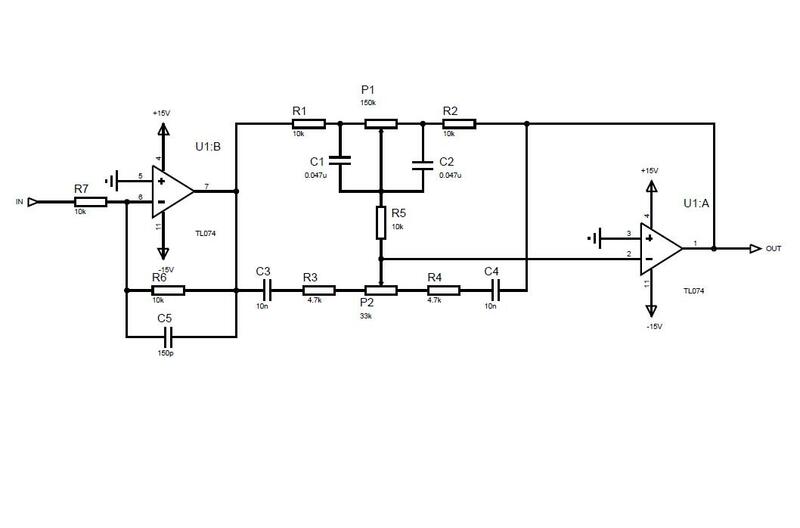 Since this is a high gain circuit grounding needs increased attention. Connection between boards will be made with a 6 wire shielded cable. 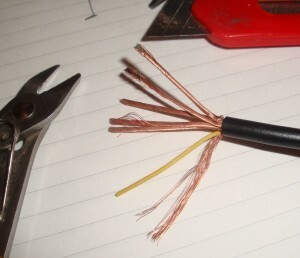 This cable type is often used in home security installations like alarms systems and has each of the wires individually shielded. The shields are tied together and grounded to one side of the cable only as signal ground is carried on one or more of the six wires. 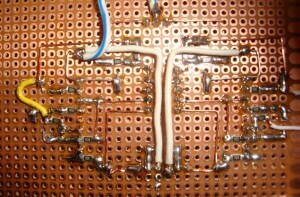 Used thermoretractable tube to isolate the open shield cable end. 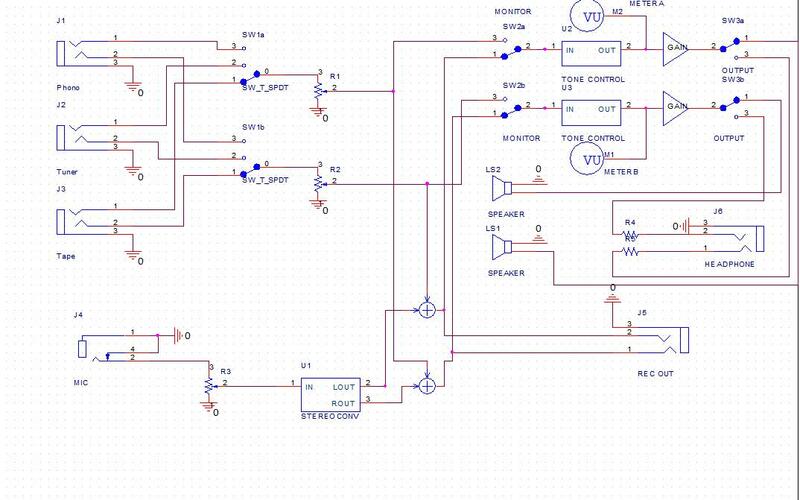 Using the line input of the soundcard i could measure the response of the tone control circuit. As can be seen it is very close to the predicted response. 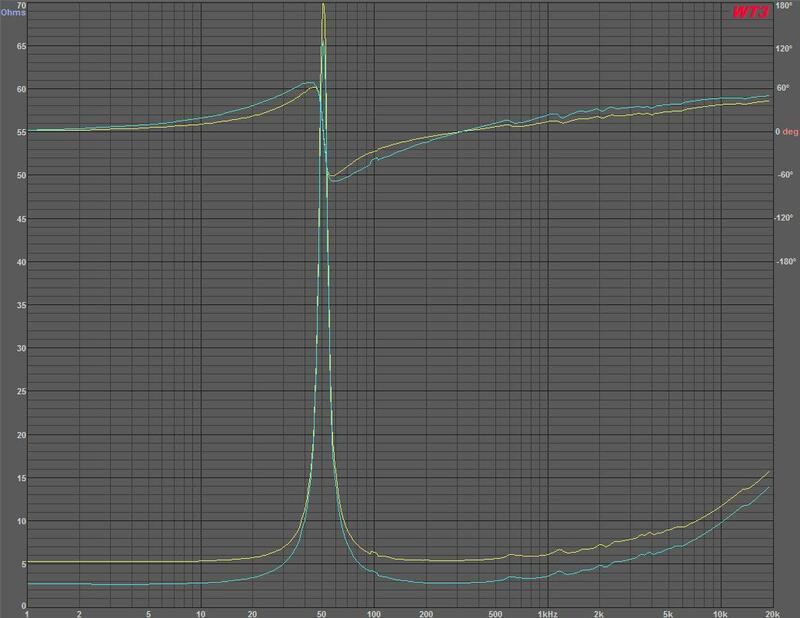 At the bass boost you can see the line getting flatter towards the end because of saturation. The bass control indeed it is just right, at low volume levels you can still get the deep bass without going through walls. 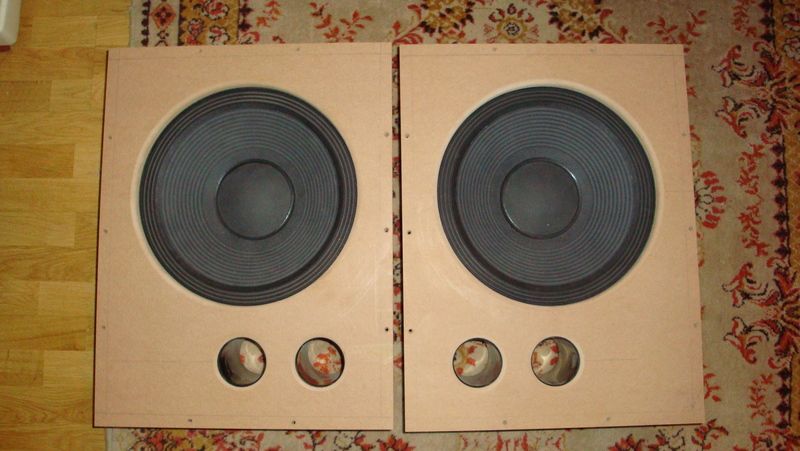 For a while, we have been discussing on diyAudio the influence of the spider. Ideally we want a low mass, low radiating area compliance for this. 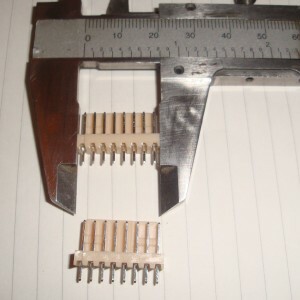 Also a very high stiffness towards side-to-side movement to avoid rocking modes. I have studied this for a couple of months and now the concept has materialized. Tests will follow shortly to determine the qualities of such a spider. To continue with Harbinger project i would like to investigate the drivers and what could be expected from them. I already mentioned two of the 15 inchers and that i decided to use a version of 8512F. 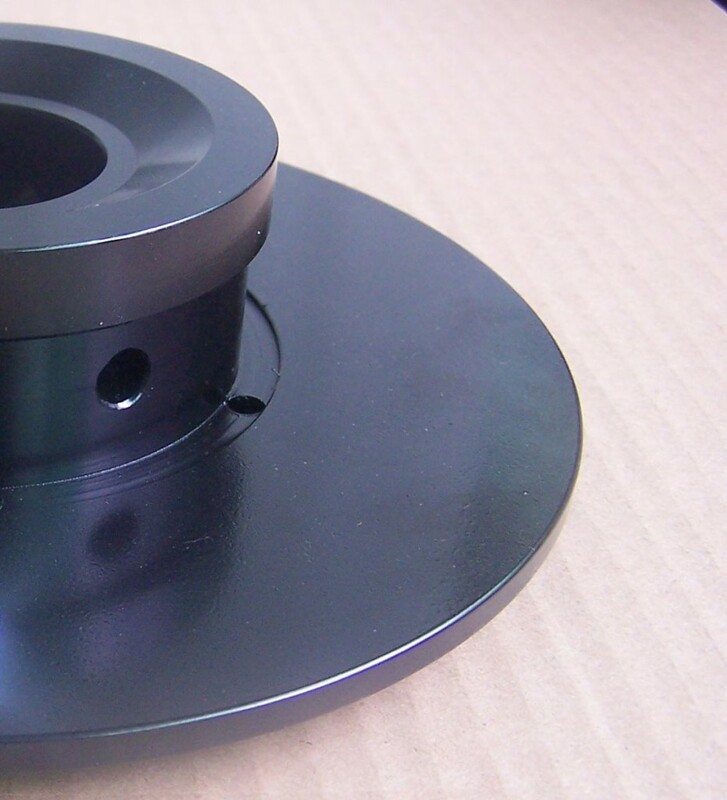 The motor on this driver is very strong 220mm in diameter, noiseless vent and T-shaped central pole piece for symmetric field in gap as seen below. First modification was changing the suspension system with a more softer one. 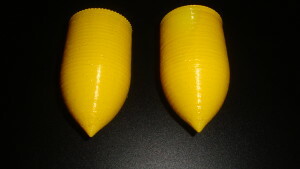 The new spider has larger deeper and fewer corrugations. I made this modification so that the woofer can perform better at lower input power. 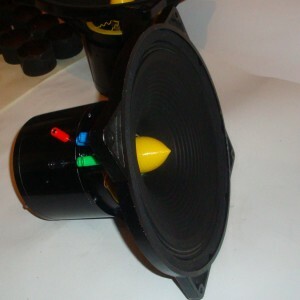 The replacement spider i used before for a 10 inch driver modification to fit in a 4″ voice coil. At this point i needed to build a new box to put in the woofer and study it’s behavior. 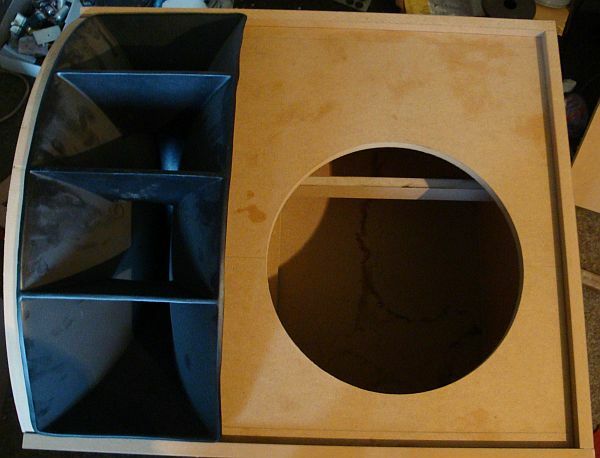 I built a 160 Liters vented box with 2 ports each of 72mm diameter and 140mm length. 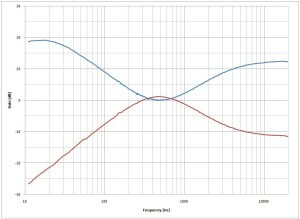 After placing the driver in the box i ran impedance test and simulation of the model created with the spreadsheet from Electric Equivalent Model of Loudspeakers article. As you can see the model is very close to the measured result. 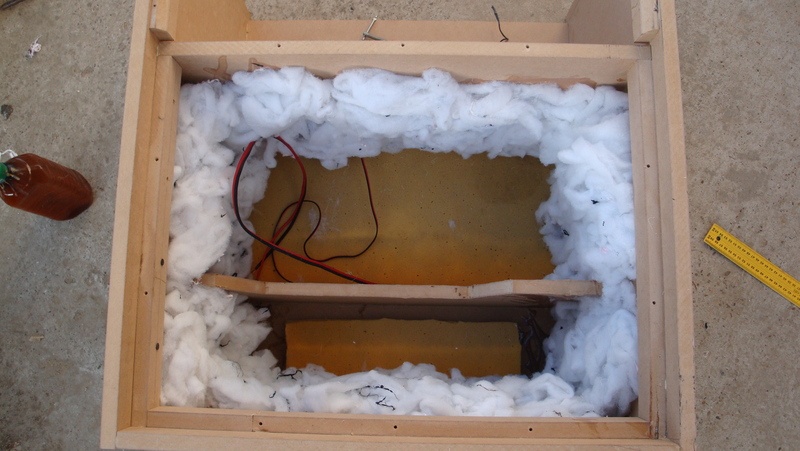 The box wasn’t well braced and needed some strengthening but the output in the bass region was satisfactory. 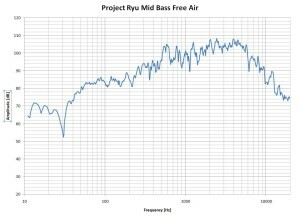 Even at low levels the bass was low with a good amount of punch. My room helps a lot though on the low end. I have wooden floors and ceiling and lots of furniture. In the next article we will look at what else can be improved on the drivers and the box. 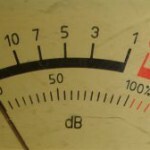 I like listening to loud music usually, i like to feel the impact of instruments close to live levels. Of course this is not always possible especially after work at late hours. 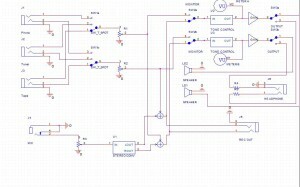 To overcome this I decided to build a monitoring amplifier this weekend. 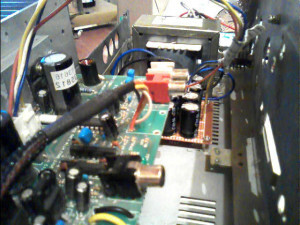 It will allow me to see the level of the source before coupling to the power amp and also to switch speakers off and just use headphones. 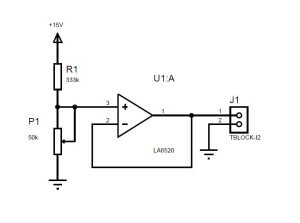 It is also important to have a good tone control circuit to adjust loudness at low levels. 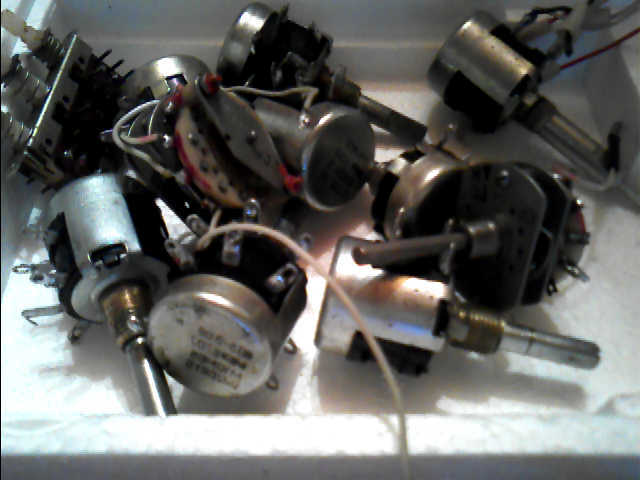 Looking through my things to select components for this project, I found the chassis from the preamplifier module of a soviet Reel to Reel deck Rostov 105. 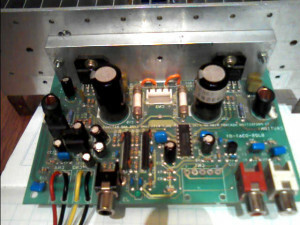 The chassis has all the controls i needed on the front panel including two nice needle VU-meters. 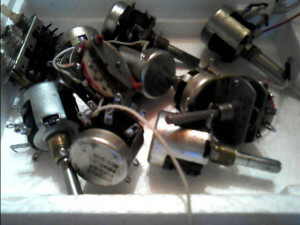 I took the chassis down and cleaned it and i verified all the pots and switches and cleaned them. 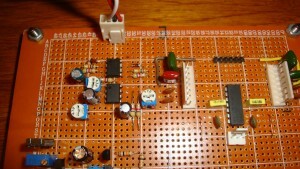 For Power Amplifier i have a LM3886 stereo kit which will be extremely useful. I used this kit for a while and it has a decent sound being one of the best audio chips in my opinion. 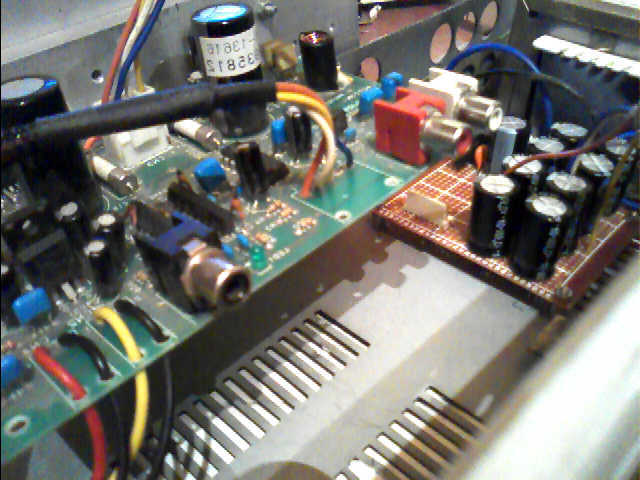 I attached this kit to a heatsink from a Yamaha A-500. 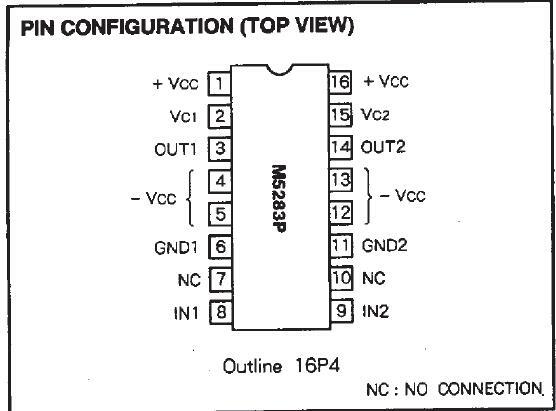 The kit also comes with a dual VCA chip for DC volume control, the M5283P. 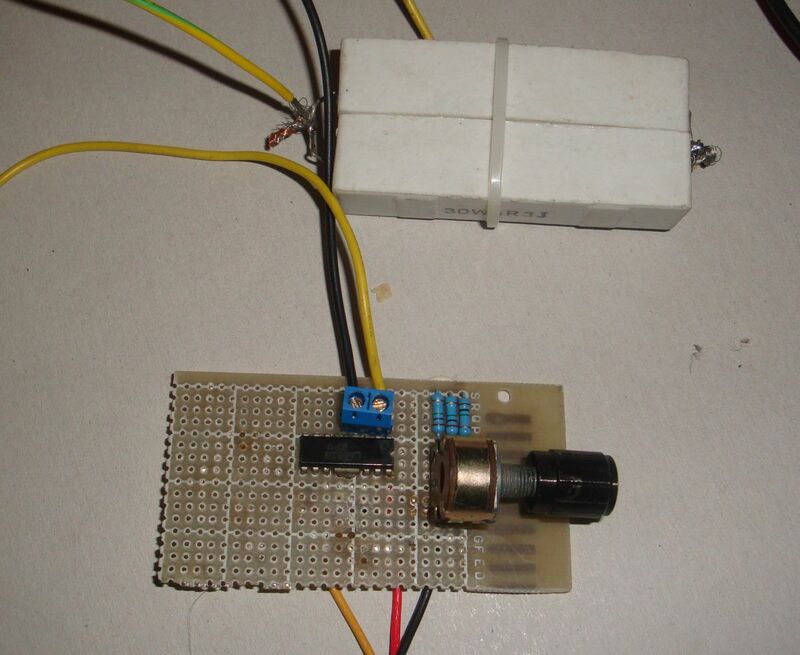 This is a very good solution to keep noise from potentiometer out of audio path. I built a power supply for the amplifier section and mounted them on the chassis. 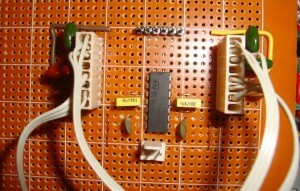 Potentiometer controlling the VC input of the dual VCA chip. 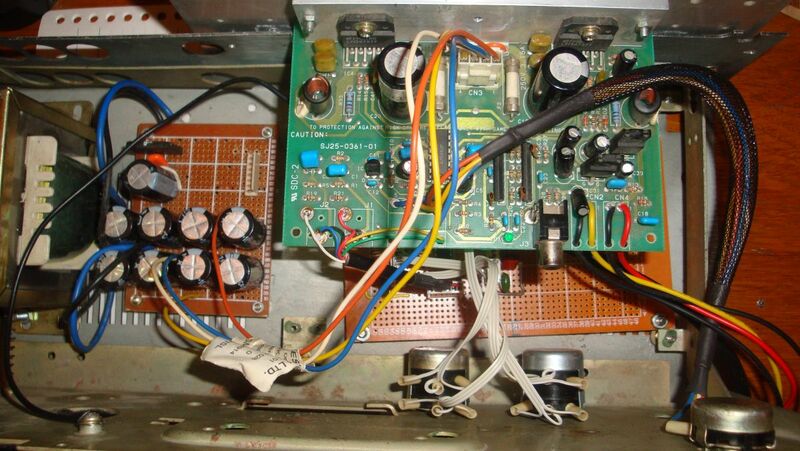 In the next article i will discuss more about the VCA and build the tone control, metering circuits.